Bournemouth is well known for its fantastic variety of hotels, B&Bs and self catering options. You’ll find luxury international hotel groups and budget friendly independent guesthouses. Whether you want a quick weekend getaway in the bustling town centre or a summer holiday by the sea with panoramic clifftop views, you'll find somewhere to stay in Bournemouth that's perfect for you. Many of our hotels in Bournemouth are located on our impressive coast and there are 2, 3 and 4-star options offering sea views within walking distance of the town centre, seafront and main attractions. Dotted around the resort, you'll find luxury and boutique hotels, independent and family run hotels as well as larger chains and also good quality low cost accommodation. For a more personal touch to your holiday, why not book into one of our B&Bs? Bed and breakfast or guesthouse stays in Bournemouth give you the freedom to choose when and where you eat so you can make on-the-spot decisions that suit you. For adventurers who prefer to tailor their stay, self catering in Bournemouth and the surrounding area is the perfect choice. You can eat, drink and do whatever you want, whenever you want. We've got studio flats, town houses, annexes and more to make sure you can find something big or small enough for your group of family or friends. Whether you’ve got your own touring caravan or are looking for a holiday break in a caravan, lodge or chalet, there are several caravan and holiday parks on the coast surrounding Bournemouth, giving you the freedom to up sticks and take a break by the sea. Perfect for intrepid explorers and anyone who loves the great outdoors, the campsites around Bournemouth let you get close to nature and the elements. It's great if you’re watching the pennies or, if you still want the camping experience but with an upmarket twist, why not try a yurt, shepherd’s hut or our very own Beach Lodges? Many of our hotels in Bournemouth are pet friendly so if you can’t leave home without Rover or Rex, don’t worry – there are plenty of places that will cater for your dog. Some will even give them their own special bed and bowl! If you want a bit more space and freedom, many of our campsites and holiday parks will welcome you and your pet. Please contact the Tourist Information Centre for more information. Bournemouth is a perfect destination for a family holiday all year round. Many of our hotels, guest houses and B&B’s welcome families and have great accommodation facilities, including larger family rooms, adjoining rooms, high chairs, child- friendly menus and some of our larger hotels have indoor and outdoor swimming pools for all the family to enjoy. There is also a great choice of self-catering options for families along the coastline and camping, caravan and holiday parks in the surrounding area. Our larger hotels have plenty of rooms suitable for business travellers. We’ve got independent and international hotel groups who are experienced in catering for corporate visitors and all of them are located close to the town centre so you’ll never be far from our most popular conference centres. It’s also just a short walk to find restaurants and bars when the working day is done. Many of our hotels, B&Bs and guesthouses class themselves as accessible so you should find plenty of suitable choices in and around the town. Some of our most popular places to stay are close to the town centre so it’s easy to get to the town centre shops, restaurants and main attractions. 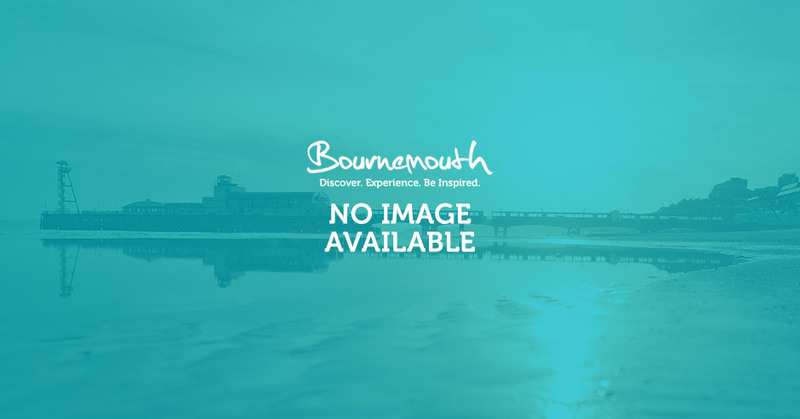 Please click here for our accessibility guide to Bournemouth. From themed and stylish accommodation to period properties, Bournemouth has an exclusive selection of boutique hotels, so you can enjoy a truly unique break away from the norm. Bournemouth is lucky enough to have fifteen overnight Beach Lodges available to book! Combining the charm of a beach hut by the sea with all your creature comforts – including a shower, galley kitchen and Wi-Fi – the Lodges sleep up to 6 people. Why not treat yourself to a 3, 4 or 7-night stay? For further information and to make the most of your stay in Bournemouth visit the Tourist Information Centre at Pier Approach and our friendly team will be happy to help you, providing information on things to do, details of festivals and events, eating out, shopping, transport, accommodation and much more. You’ll even find beautiful locally sourced gifts. Download the official Accommodation List. Bournemouth is well-known for its majestic clifftop hotels and these large period properties are still very popular. There's 3 and 4-star accommodation all along our impressive coastline as well as budget friendly, corporate and boutique alternatives throughout the town. Why not book into one of our many B&B's? Add a more personal touch to your holiday and give yourself the freedom to choose when and where you eat so you can make on-the-spot decisions that suit you. Self catering offers you the freedom to come and go as you please and is ideal for larger groups. Here in Bournemouth and the surrounding areas, we have a wide range of self catering options to suit all budgets and tastes. If you’re looking for low cost accommodation that gives you the freedom to roam, why not pitch up a tent and sleep under the stars on the picturesque South Coast? We've also got unique glamping options for an upmarket twist on the camping experience. For the quintessential British break away, you can’t beat the convenience and budget friendly benefits of a caravan holiday. Our temperate microclimate and surrounding countryside offer plenty of outdoor space to rest and play.